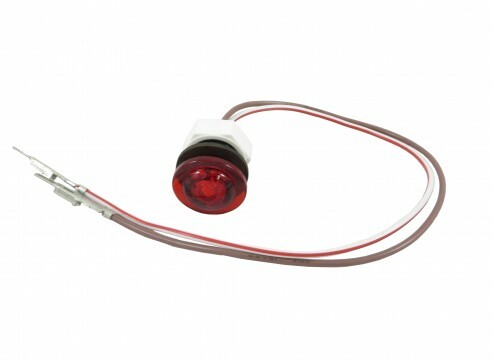 Red LED Marker Light, PC, Bullet Assembly With Nut and Sealing Washer. Commonly used On Coach and Equipment Header Assemblies. Innovative Light Manufacture Number 219-4420-1.